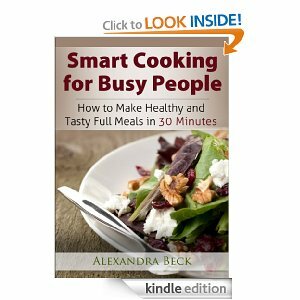 Right now on Amazon you can pick up the ebook, Smart Cooking for Busy People for free! This download is for Kindle but even if you don't have a Kindle you can download the Kindle app for your smartphone or computer and read for free! Free ebooks can change prices at anytime on Amazon so make sure to grab this one while you can!